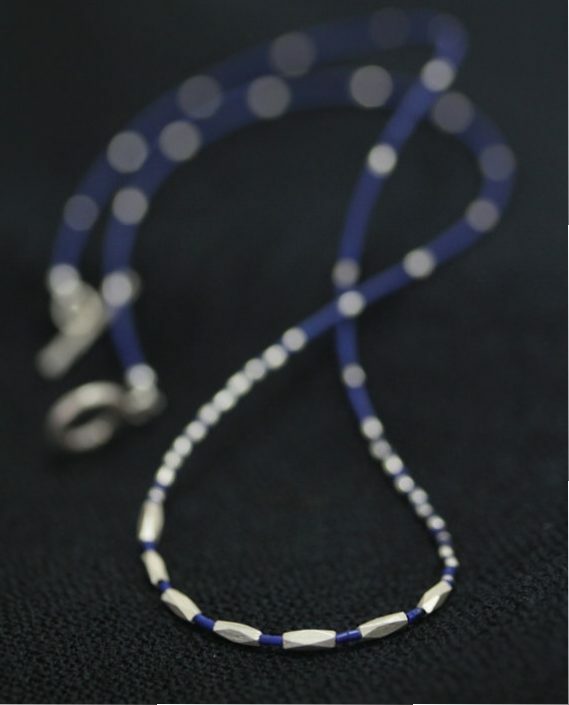 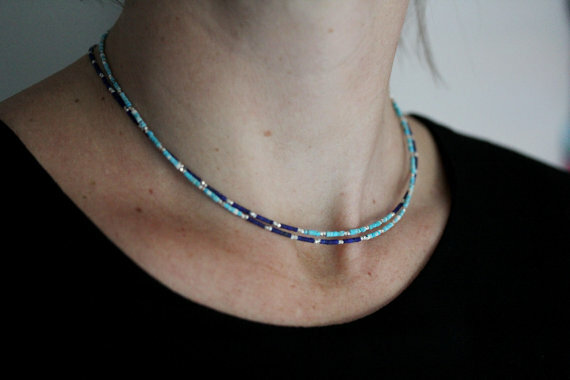 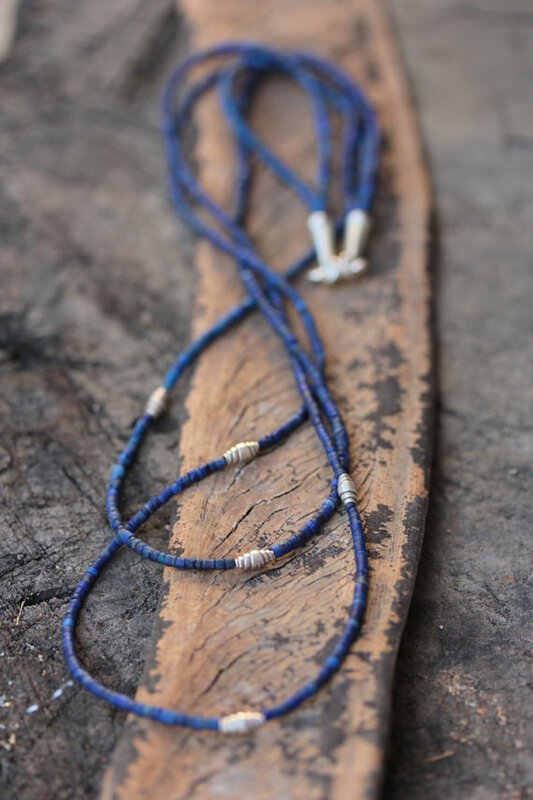 The two separate necklaces are composed of bright blue natural turquoise, dark blue lapis lazuli and handmade faceted small silver pieces. 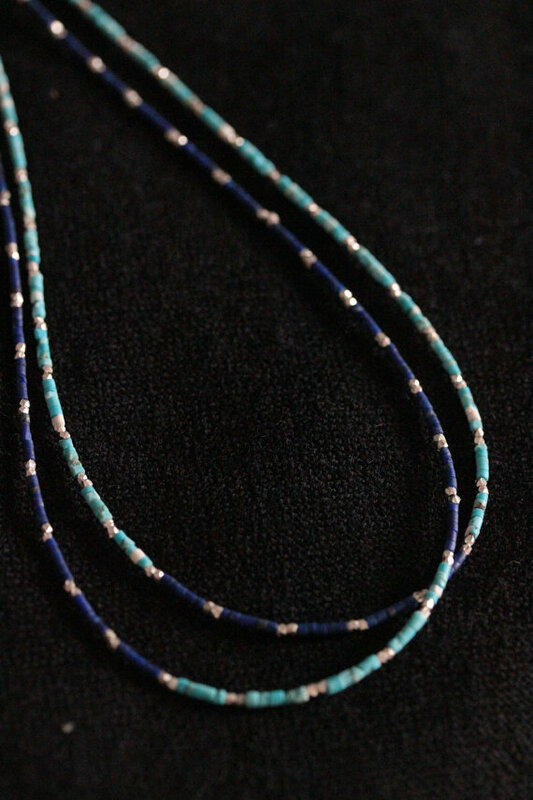 They are composed in a way to create opposite pattern, in one turquoise and in the other lapis is predominant. 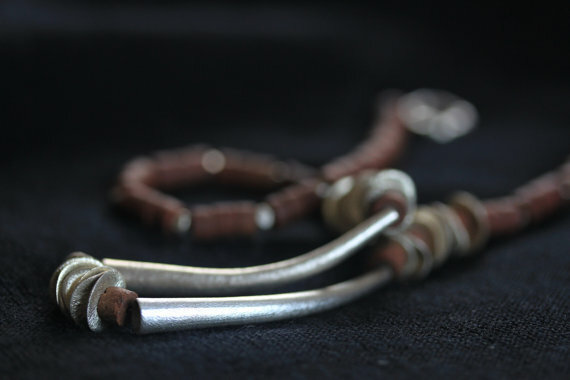 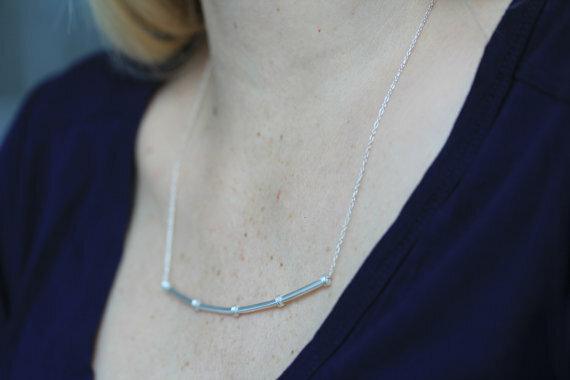 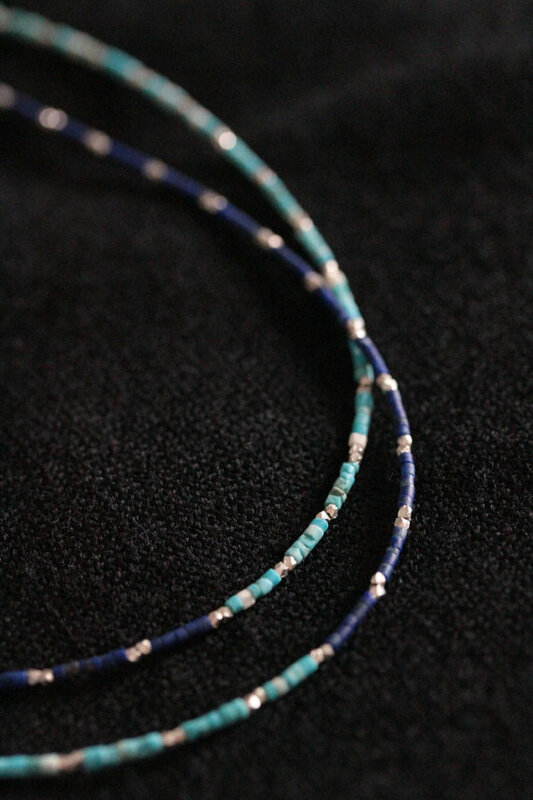 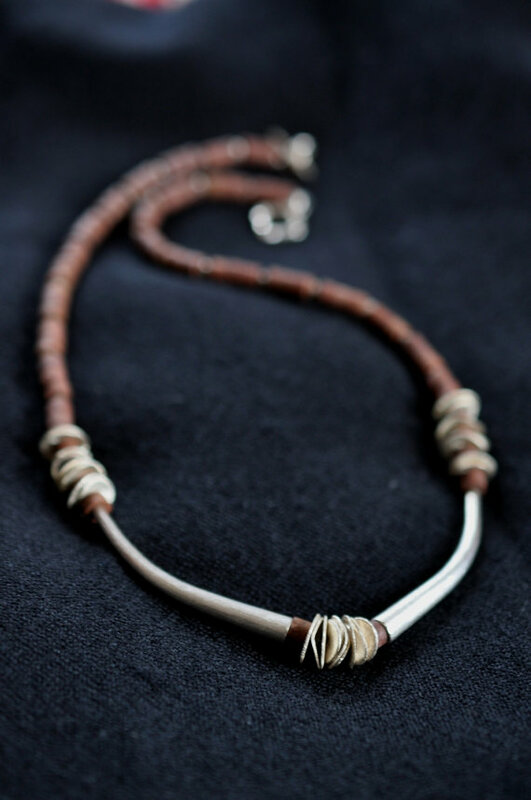 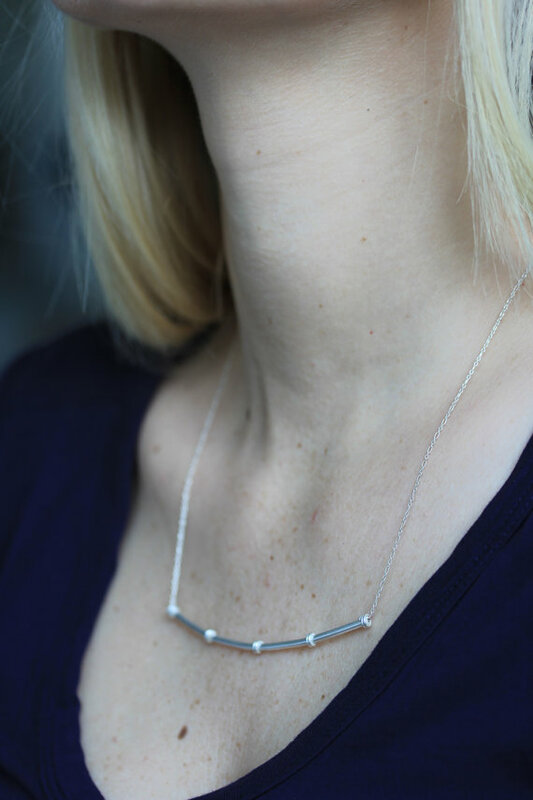 They can be bought together or separately – the price for a single necklace is 32.50 USD. 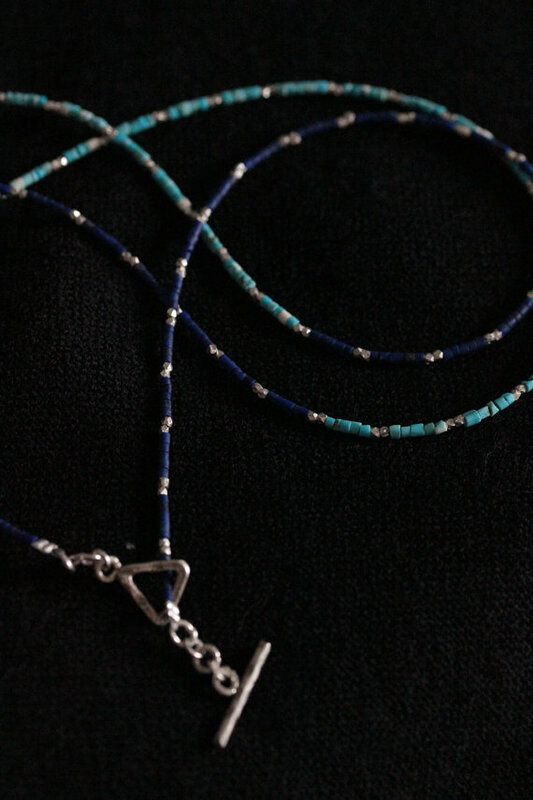 If you would just like one, please let us know which one you prefer. 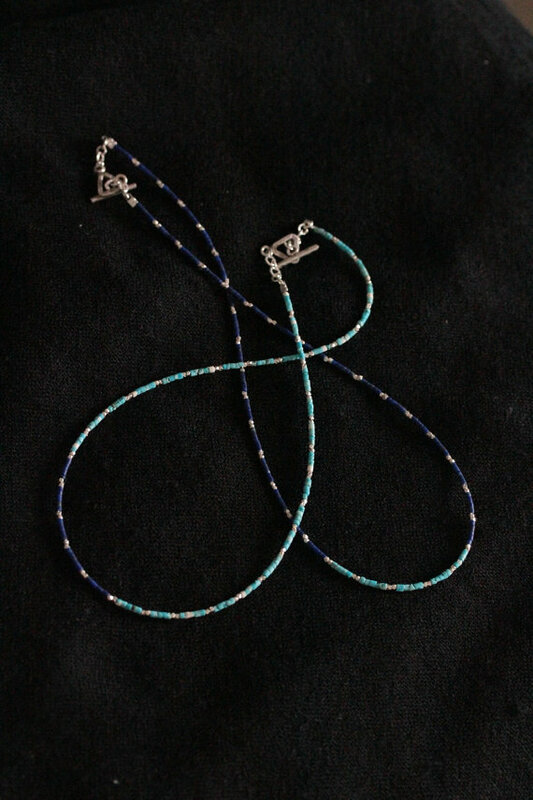 They close with a triangular-shape toggle hook, decorated with tiny “Podduang” pattern, typical of Thai Karen hill-tribe people. 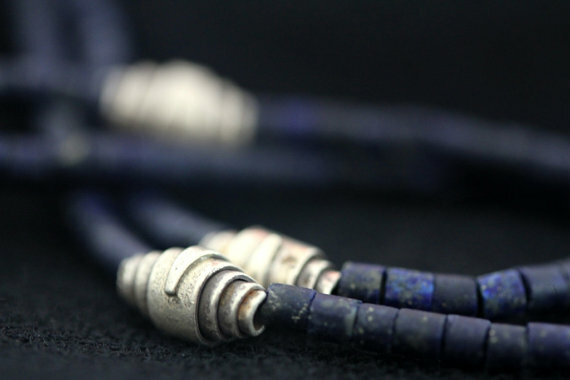 Turquoise is one of the oldest protection amulets, and was also known as a symbol of wealth and nobility in many ancient cultures, while lapis is a universal symbol of wisdom, friendship and truth.